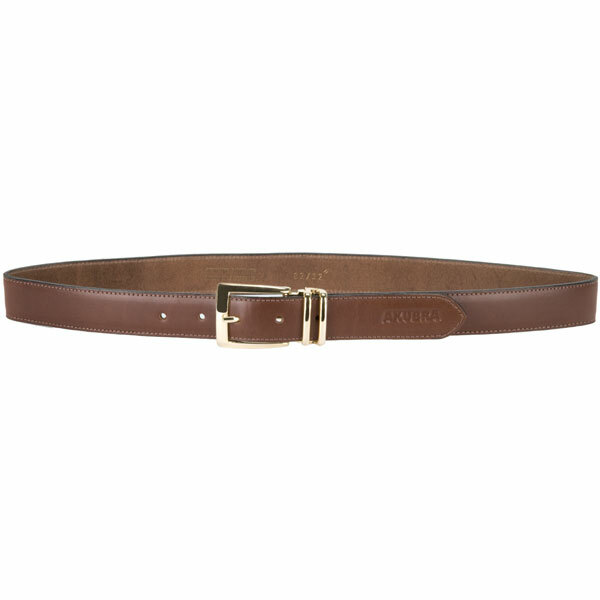 This elegant belt by Akubra can be worn with business attire but is tough enough to endure work out in the country. Akubra belts are vegetable tanned bovine leather. The metal buckle is sewn in place. "Akubra" is stamped on the end of the belt. 1⅛ inches wide. Made in Australia. Akubra, best known for their fur felt hats, is now offering leather belts. Akubra belts are quality belts, made in Australia to the same high Akubra standards as their hats because their good reputation depends on it. 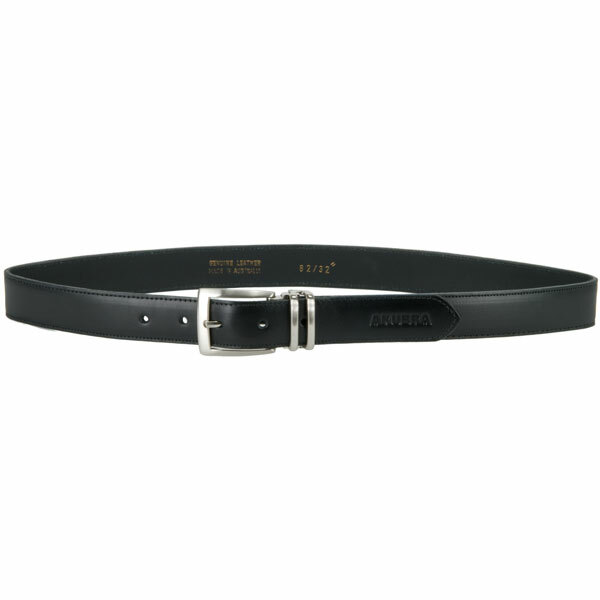 Belt size depends on your girth where your belt is worn and the buckle you intend using with the belt. 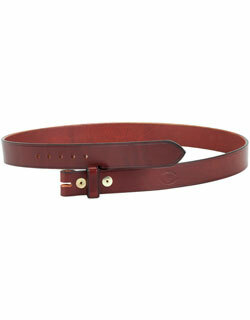 The belt size is measured from the buckle end of the belt leather to the hole used. You can determine your belt size using one of the following methods. Most of our belts allow about +/- 1½ inches adjustment in size. If you are between sizes, order the next size up. Measure a belt you are currently using from the buckle end of the belt leather to the hole in use. Round to the nearest ½ inch, then determine your belt size from the following chart. This method works best when you have a belt that fits well and will be using a similar belt buckle with your new belt. Measure your girth at your belt loops while wearing your pants. This measurement will correspond to the belt measurement plus the buckle. Determine your belt size from the chart above. This method works well for belts worn around the hips when you do not have an existing belt to measure. Fine leather deserves good care. We suggest a light coating of Pecard Leather Dressing every six months to help maintain the fine appearance and durability of these belts.